The ‘Toad’ brake van is receiving some attention this winter. The rather tired door is being renewed, and the van has been jacked up, the springs removed, and packing wood in place. *This is not true, just a joke! 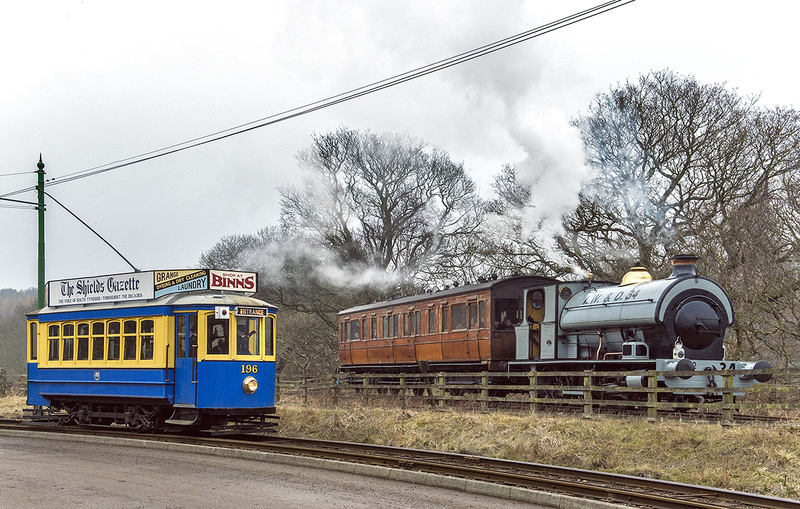 Paul Jarman has posted this image on Beamish Transport Online, it is the work of Dave Hewitt and shows Portbury with a rather lovely wooden-bodied coach and Tram 196 in operation on Valentine’s Day. Please note that the Chocolate Path (alongside the A Bond branch line and New Cut) will be closed from 9th Feb 2015 for 4 weeks. 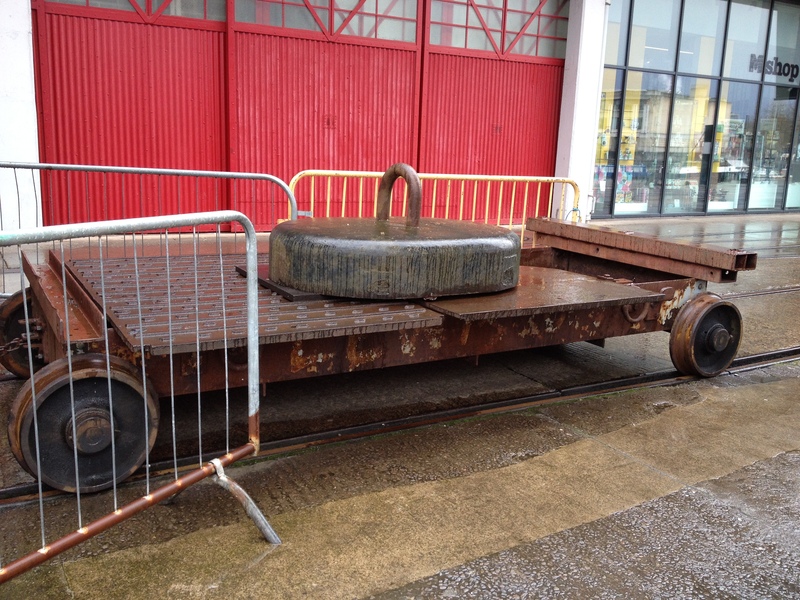 Paul Jarman of Beamish Transport Online has posted updates on Portbury’s arrival at Beamish. Shunted off the lorry siding by departing hire loco ‘John Howe’ (An Andrew Barclay 0-4-0ST), Portbury was in steam the next day and immediately put to work shunting the yard at Rowley station. ‘Portbury’ has departed Bristol and is now on her way North to Beamish!